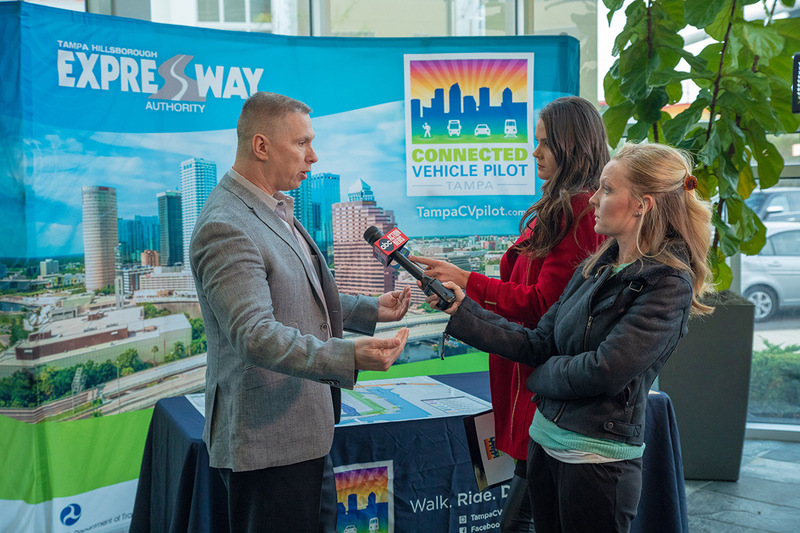 In November 2018, Global-5 planned and facilitated a media event to showcase cutting-edge technology for our client, the Tampa Hillsborough Expressway Authority (THEA). The event, which included live demonstrations of connected vehicle applications, resulted in positive coverage on three local TV stations and another station in Fort Myers. Several respected industry publications also picked up the story. Global-5 wrote and distributed a news release in advance of the showcase. On the day of the event, we provided multimedia press kits to reporters as they arrived. The media kits included a news release, maps of the demonstration sites, and a thumb drive filled with photos and video. Global-5 staff were on hand to show reporters video clips of the demonstrations they were about to see. We also created display boards with maps to illustrate each demonstration. 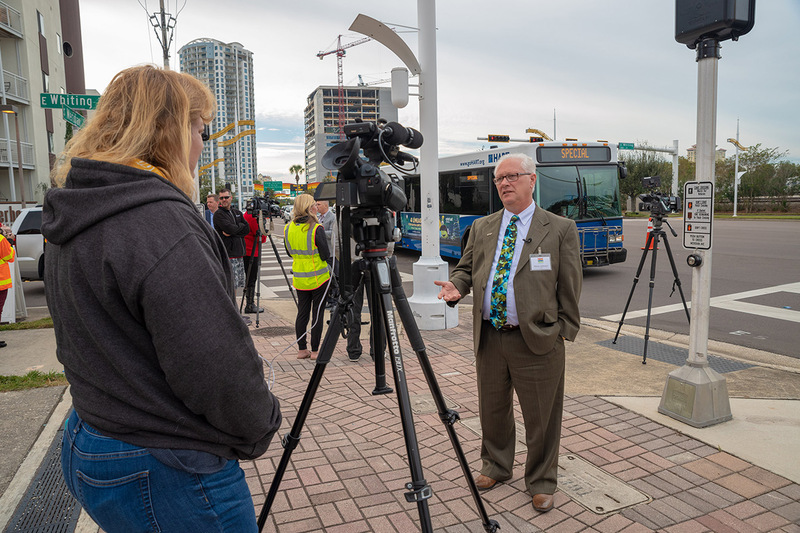 Officials from the Florida Division of the Federal Highway Administration and the U.S. Department of Transportation (USDOT) participated in the event, which was an important milestone for the THEA Connected Vehicle Pilot.